was packed just trying to get it all in. one thing: A Giant San Francisco Blog. that packs a back and just goes where the road takes me. No real plan. going and do not waste time wondering around. Unless, of course, wondering around is the plan. where all the coffee shops were along the way. This seemed simply to be a nice touch. However, I did not understand how important coffee would be to me in San Francisco. was walking (which was often) and when I was drinking coffee. the city is fabulous. The hills. The cable cars. The wharf. some scenes from San Francisco. After getting checked in, I enjoyed lunch at Il Caffe at Union Square. I felt very urban eating my lunch in the sunshine that I would find fleeting throughout the weekend. There were modern dancers performing. There were shopping opportunities…although probably not for me. I would love a little something in the signature blue box, but once again, my disposable income was allocated to baseball. A girl has to stick to her priorities. The Cable Car brought me to Fisherman’s Wharf, where I found sea lions lounging. They look quiet, but actually sound like a kennel of barking dogs. Actually, they reminded me of dogs, laying their “puppy piles” and playing with each other. My afternoon adventure was sailing on the Alma, a flat-bottomed schooner built in 1891 that has sailed the bay her whole life. Here are the sails I helped hoist (one of the few times I was warm). They said the boat could be sailed with only a crew of three. All I can say is the three must be freakishly strong. was a view from a point near Fisherman’s Wharf. I saw a trail heading up a hill. overlook, I was not high enough, so I trudged onward and upward. into downtown from the airport, I got my first look at AT&T Park. The banner says Molina. The motto is very much Sandoval. anxious to get to the ballpark on Friday. Besides the coffee necessary to ward off hypothermia, the ballpark has lots of great food. The first thing I searched for were the garlic fries. I found them here. The fries were all they were cracked up to be…if you like garlic….a lot. I do, so I enjoyed. If do not like garlic, you may not like AT&T Park. Even if you do not order the garlic fries, the stadium reeks of the smell of garlic. No vampires here. At the second game, I had a hot dog that was pretty basic, but good. On Sunday, I treated myself to a Cha-Cha bowl, which includes black beans, rice and jerk chicken topped with pineapple salsa. It was my favorite! I like them. They were into the game. Loud, at times. They were knowledgeable and enjoyed the good close games. I wore my Cardinals gear. Took and gave some very good-natured ribbing, but never at any time did I feel uncomfortable. They told me stories of Candlestick Park and how much colder it was there (I cannot imagine.) There were stories of Barry Bonds homeruns, taking the ferry to the game and how much they hate the Dodgers. Of course, I am a respectful fan when I am visitor, and I know that helps. Once, I did cheer loudly and obnoxiously, punching my fist in a “you’re out” sign, when Yadier Molina caught Fred Lewis stealing 2nd. He was out by a mile. I yelled, “That’s my Molina!” However, the Giants fans were too busy groaning and yelling at Lewis and the umpire to notice. Then, there is always the non-fans at the game. People that just go because it’s something to do. Or, someone gave them tickets. On Saturday, a young couple sat next to me and spent seven innings cuddled-up discussing their relationship. Seriously? Two Cy Young pitchers are on the mound and this guy thinks this is a good time to talk about how he does not have a job, but was still looking for work here. He may have to go back to Michigan, but he really did like her. Maybe, they could find a way to make it work. Her body language said that she was all into him as he put his are around her and pulled her to him. Gag. Or, maybe, it was just cold. How could you be all into a loser without a job who (even worse) does not get baseball? What kind of man discusses his feelings during a baseball game? No real man, that’s for sure. She could do better. Anyone could. Secretly, I think she was hoping that his moving back to Michigan could be her out pitch. If she knew what an out pitch was, that is. I went to make a coffee run and thankfully they were gone when I came back. winners…all together…in the same uniform? Randy Johnson practices laying down a bunt as Tim Lincecum looks on. be doing at Johnson’s age. he once was, but he is still better than most. often witness in Major League Baseball, they took infield. ballet. The movement. The symmetry. The rhythm. The dance. The fun. Bengie Molina prepares for infield practice. see here as he leans in for a fist bump, before heading to first. on most anything thrown somewhere in the vicinity of the plate. all could approach our jobs with that attitude! whom the field has become more of a mine field than a play ground. contrast between the two infielders. will swallow him if he fails. playing this game like a big kid. What a Minute, I Thought this was a Cardinals Blog? And, it is. Enough on the Giants. McRae were teammates at Kansas City in 1978-1979.
only sign autographs and never be ready by game time. runs in Carpenter’s last inning. Ludwick is finally off the DL. to get his bat going, homering twice in Saturday’s game. Ryan, Oh How I Underestimated You! As I watched Brendan Ryan last year, I do not remember being overly impressed. Sure, I loved his enthusiasm. I loved his speed. I loved how hard he played. I just do not remember thinking, “Wow”, in the way I have this year. Ryan has taken the opportunity to play every day by the horns. He has made stellar defensive plays. He has taken good at bats and hit very well during this series. I always saw him in the utility role, but perhaps his is an everyday player after all. And, he just cannot believe it…. Still, he had a great series in San Francisco. passion for this game of baseball that I did even realize I possessed. recognized for your defense, huh? this weekend, which really screws up my world. behind the plate. Three brothers. Three catchers. Three major league ballplayers. What are the odds? …and watch Sandoval in the cage. Others come up later and I start to realize what a fraternity major league baseball is. I suppose, it might bother some fans to see players so friendly with members of the opposing team. And I suppose, it was not always that way back in the days before free agency when more players played for the same team their whole career. Now, players are connected by country, college, winter ball, the minor league days and former teams. Players move around, yet the friendships remain. The brotherhood I saw on the field went beyond blood. Again, this might bother some who think hating the other team is critical to competing. But, really “hating to lose” is the only hate that is required. And, losing to your brother is the worst. …and Yadier warming up Joel Pineiro on his side. I like the old school bull pen mounds at AT&T Park. It nice to really be able to watch pitchers warm up. Later, the brothers met at the plate. As Yadier stood in and Bengie laid down the fingers, I wondered if it is trickier calling a game against your brother. Do you get in each others head? Like, I would normally call a fast ball, but he knows that I would, so maybe I should call a slider, but what if he knows that I know that he knows….until your head hurts. Or, is it really just the same as everything else: work to your pitcher’s strengths, mix your pitches and hope your pitcher does not leave anything too juicy over the plate. Later, Bengie stood in the batter’s box, while Yadier figured out what to call. Pineiro gets the sign and throws the ball…. ….right at Bengie Molina’s leg. It was the one time a batter was hit by a pitch that I was 99.9% sure it was unintentional. And, I was 100% sure that Bengie was not going to go charge the mound. But, I did wonder what Yadier would have done if he had. Typically, the catcher rushes to the pitchers defense, often tackling the batter. I wondered if Yadier would have let Bengie get in a couple of swings before going out to get him. I am sure Bengie has a bruise to show for it. Just one of many that a catcher gets in a days work. Fortunately, he was able to stay in the game. Sometimes when you are taking hundreds of random pictures, it is funny the ones you run across that capture similar moments. Here are complimentary pictures of Yadier and Bengie with the umpire. In both, they seem to be taking an aggressive posture toward the umpire, which goes to prove that sometimes pictures lie. But, he did not go. Sunday was a day game after a Saturday night game. After both Molinas caught on Saturday night, I knew it likely that one or both would get the day off. So, I was not surprised to see Bengie Molina’s name missing from the cleanup spot. However, it is pretty much a given that Bengie never gets a whole game off. At some point there will be a pinch hit opportunity with runners in scoring position, and it will be likely that he will come through. As he did here, hitting a sacrifice fly, scoring Sandoval. Bengie stayed in the game. Yadier came up to bat in the bottom of the 9th with two outs. In Bengie’s at bat, he hit a pop up to the backstop. I think they might be discussing where it went here. Yadier did not have a play on it as he did when he put Bengie out on a P-2 the night before. Yadier stands in as the last Cardinal hope. Bengie is smiling here, as if perhaps he knows something Yadier does not…. cities that the other planes were headed to. MLB, but there is a Triple-A team there. hardest gate to walk past was the one that said “St. Louis”. The Cardinals are at Busch tonight. there is really nothing like a home game at Busch Stadium. The Cardinals had a welcome off-day today. Welcome to me anyway. I’m not sure how I would have gotten packed otherwise. Packed?, you say. Yes, packed. Thus far, I have been to two exhibition games, seven Triple-A games, one Double-A game and two college games. This weekend, I break into the majors with a trip to San Francisco to see the Cardinals play the Giants. I started contemplating this trip last summer as I fell into the habit of tuning in the Giants game at bedtime and falling asleep to the sounds of AT&T Park. Tomorrow it comes to fruition. Both teams have great pitching, cold bats and a Molina behind the plate. In addition there are sailboats practically in the outfield. I could not ask for more. Except for maybe one clear day to see the Golden Gate Bridge. I guess there is always one more thing. Or, five. I can think of five more things I would like to put in my suitcase, but I’m determined to carry-on only. Love the Cardinals. Love the Giants. Love great catchers. Love Baseball. Love Sailboats. Love Waterfronts. I may not leave my heart there, but it sure is looking forward to the trip. Do You Have a Backup Team? Sorry, I have been offline for a week or so. I hate it when work gets in the way of blogging, but unfortunately “work” is how I pay for baseball tickets, MLB Network, XM Radio, Gameday Audio, MLB.TV, high speed internet, Cardinals gear and baseball road trips. Otherwise, why would a job matter? Due to various technical difficulties, I have been unable to either hear or watch a Cardinals Spring Training game live. I did see two in replay. Two radio broadcast have been scratched. It’s been frustrating. Yes, a backup team. If you do not have one, then this will sound like sacrilege. A backup team is a team you watch or casually follow when you need a baseball fix, and your actual team is not playing. Some might see this as being unfaithful. Rather like having a regular girlfriend and a backup girl that you call when your girlfriend is out of town. That seems a little shady, but this arrangement can work as long as you are honest about it and both girls know the deal. It also helps if the girls have a backup boy. Always good to have a backup boy. Not that I would know. Have to find a main boy first. However, I see the backup team as being more like a backup catcher. It is the only position with a true backup. Sure, you have backup infielders and backup outfielders, but they are never listed as “centerfielder” or “first base”. They typically can play in at least two positions. You have a long reliever, but he is never listed as a backup starter. But, every team has a backup catcher because there is no way your number one catcher can play 162 games. The backup team is the same as a backup catcher. If you are truly a psycho crazy baseball freak of a fan, there is no way any one team can completely satisfy you. What makes for a good backup team? First, they have to compliment your main team. Maybe, you live in Texas and love the Rangers. A good backup team might be the Braves. Your team is in the AL, your backup is in the NL (no conflict of interest there). They typically play in different time zones, which is very important. Your backup team should not be playing when your first team is playing. It defeats the purpose. Or, maybe your favorite player left for another team, and you just have to check on him once in a while. For example, I cannot imagine, Kaybee not sneaking a peek at Trevor Hoffman at least a few times this season. However, I will only be seeing Aaron Miles being a Cub when they are playing the Cardinals. Possibly, you are a displaced fan. Say, you love your hometown Royals, but you are living in L.A. and you cannot escape the Dodgers. Or, suppose you are a Cardinals fan (as you well should be), what makes for a good backup team? Ideally, it should either be an east coast or west coast team. Any division rival should not be a backup team. Although an enemy of an enemy can be your friend, if you are in the same division, eventually an enemy is simply an enemy. Maybe, I have said this. Maybe, I have not. 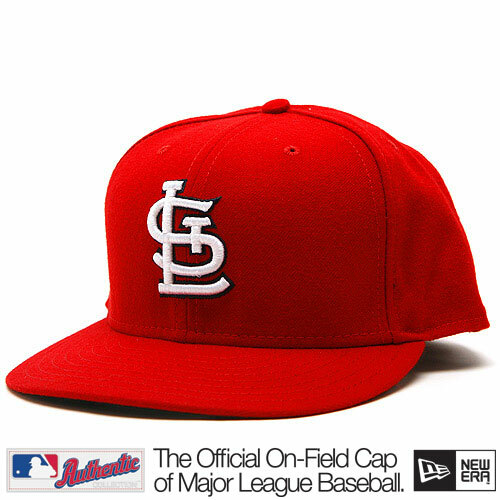 But, my favorite Cardinal is catcher,Yadier Molina. I love great catching, and Yadier is a joy to watch behind the plate. His hitting is not always flashy, but it is often clutch, which is even better. He is my kind of player and much of the reason I love the Cardinals. So, if Yadier Molina is your favorite player and you love great catching, it is only natural that you would be curious about his two brothers who are also Major League catchers. Conveniently, one plays on the east coast (Jose for the Yankees) and one plays on the west coast (Bengie for the Giants). So, rather innocently I stumbled on my backup team and my backup backup team. In the regular season, a Yankees game often starts before the Cardinals game. Sometimes, I take a peek to see if Jose Molina is catching. If so, I watch until the Cardinals game starts. Other than maybe his family, I am probably the only person that watches the Yankees because the backup catcher is starting. Nothing against Posado, but he is not a Molina. The Giants are even better. Typically, their game is just getting started when the Cardinals game is over. Last season, I often crawled in bed, put on the Giants game and watched until I fell asleep. The games are late, and I must get up early to go to work. Usually, the first pitching change does me in, but I get to see Bengie who is fabulous behind the plate and has the power I would love to see Yadier grow into. It is fun to compare the brothers. Defensively, they are all solid. Great game calling. Great plate blocking. Guns for arms. Right now, Bengie is the best hitter. He has both average and some power. Jose does not have the average, but when he gets a hold of one, it goes. I love, love, love the fact that he has the last home run in Yankee Stadium. Such a great moment in the sun for a guy who has given his life to the game. At the plate, Yadier gets better each year. He hit over .300 last year. Looking at his brothers, I expect a little more power is coming. I posted an article a while back about choosing between team and country for the World Baseball Classic. The comments I received told me emphatically that despite the fact that Puerto Rico is a U.S. Territory and would possibly have more Cardinals than any other participant in the Classic, I should root for my country, Team USA. Now, Puerto Rico has the only 40-man roster Cardinal (Yadier Molina). Not just any Cardinal, but my favorite. Plus, Cardinal coach, Jose Oquendo is managing the team. On top of that, after watching the Caribbean Series in February, I will not lie: There is something very, very compelling about Caribbean ball. The passion with which they play is incredible and gripping. Despite an obvious facination with Puerto Rican baseball, I will be a patriot. I will cheer for Team USA. But, just know….I will be keeping an eye on Puerto Rico. They are definitely my backup team.